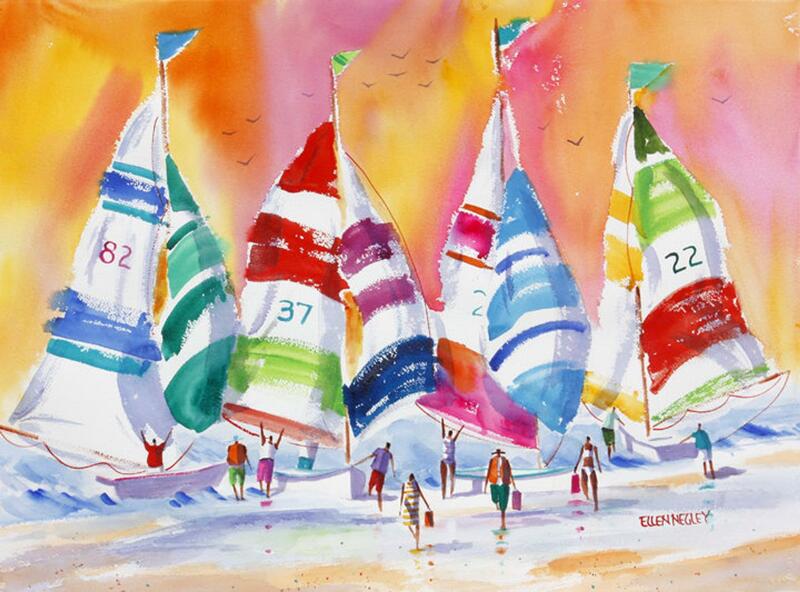 "WARM SUMMER SAILS" is one of several sailboat paintings. The sky is full of tropical colors that mix and mingle while busy sailors ready their boats below. My favorite part of painting is adding people. They give the setting life and movement.